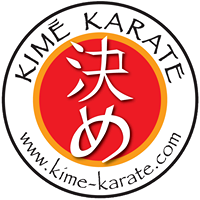 Kime Karate is a family run school in Fairport, NY with programs in both karate and jiu jitsu. We offer classes for both kids and adults for all skill levels. Whether you are a beginner or advanced student, we have a class for you! Our kid’s classes are packed full of fun drills and instruction where your kids will learn important life skills such as focus, listening to directions and self-control. All incredibly valuable skills they can keep the rest of their lives! We love kids and it shows in our classes and instruction. We bring a wealth of knowledge to our programs from over 30 years of experience teaching. Sensei Keyes is a 5th degree black belt under Patrick McCarthy, a true legend in the martial arts. Get a free class on our website and try a class for yourself.